63395 doing what it was built for, hauling a train of coal empties up Seaton Bank during August 1967. Who? The Q6 was an unglamorous freight workhorse that plied the tracks of the north east of England for 50 years. 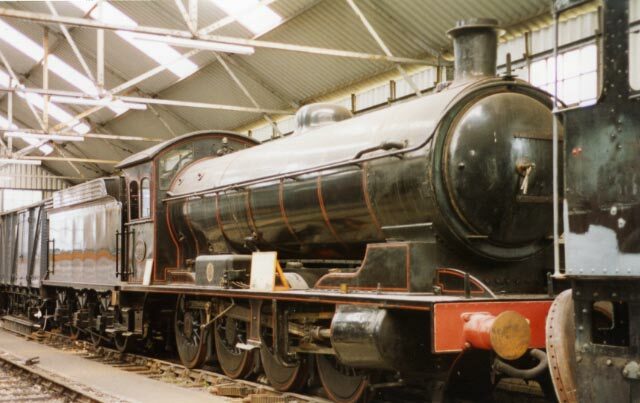 Remarkably, along with the class J27s, it was one of the very few pre-Grouping steam locomotives to survive right up to the end of steam on British Railways. 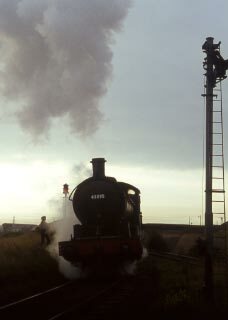 Capturing the imagination of countless enthusiasts in the final days of steam operation in County Durham and Northumberland, one of the last survivors, 63395, became the subject of a purchase appeal by the Newcastle based North Eastern Locomotive Preservation Group, which had successfully acquired a J27, 65894, in December 1967. Following purchase, the locomotive, like 65894, was restored to work on the then fledgling North Yorkshire Moors Railway, being delivered in June 1970, but was withdrawn for a major ten-year overhaul in 1982. Commitments with the NELPG’s other locomotives – the K1 62005, J72 69023, Q7 901, J27 65894 and last, but by no means least, A2 60532 Blue Peter– meant that the Q6 took a back seat, placed on display in the NELPG’s Deviation Shed at Grosmont. Gradually, pressure grew for its return to steam and in 2000 a start was made on its major overhaul – the most comprehensive in the NELPG’s history - which was co,mpleted in 2008. 63395 working at Houghton Colliery in 1967. Maurice Johnson. Wilson Worsdell introduced the first T class 0-8-0 on the North Eastern Railway in 1901, but Vincent Raven carried on the development of the T1 when he designed the superheated outside cylinder class T2 0-8-0s for handling the heavy goods trains of the North Eastern Railway. A total of 120 engines were built at the NER’s Darlington Works between 1913 and 1918. An engine was produced that could be driven all out - full regulator and full forward gear – for indefinite periods at anything up to mineral train speeds. In 1915 examples of the class had undergone dynamometer trials on 700 ton trains between Newport and Shildon, putting up some impressive performances and comparing very favourably with the then newly introduced electric locomotives working that line. 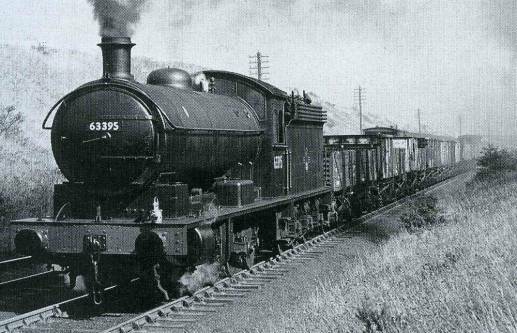 The T2s, or Q6s as they were later classified by the London and North Eastern Railway and British Railways, proved to be extremely successful, carrying on a fine NER tradition for freight haulage right up until the demise of steam in the North East in 1967. As a measure of their success, the basic design of the locomotive was never altered, though some engines – including 63395 – received tenders from the famous three cylinder NER Atlantics. As class T2 No.2238, 63395 was completed by the NER at Darlington North Road Works on 2nd December 1918, one of eight built that year. Following completion, 2238 was sent to Gateshead for running-in and allocated to Blaydon depot where it remained for 25 years. Its first re-allocation as part of a large wartime reshuffle was to Newport (Middlesbrough) allocations also followed at Darlington, West Hartlepool, and Hull Dairycoates, preceded six years allocated to Selby depot. On 14th June 1959 63395 was transferred once more to Darlington Bank Top, and then to Consett, before the engine was finally sent to Sunderland South Dock on 23rd May 1965. From here the Q6 worked south to Vane Tempest, Seaham, Teesside and South Hetton, and northwards to the Tyne, ironically ending its days where they had begun almost 50 years before. 63395 was the final Q6 to be overhauled at Darlington Works in September 1965 and, along with 63387 of Hartlepool shed, was the last Q6 in service. Following withdrawal, on 9th September 1967, 63395 was moved into store at Tyne Dock shed pending preservation. 63395 on the turntable at Thornaby roundhouse, prior to delivery to the NYMR. John Boyes. The locomotive was purchased by the NELPG on 1stApril 1968 and whilst work started on the restoration at Tyne Dock, the unsafe condition of the building meant that the engine was moved to Hartlepool depot on 4thOctober 1968 for preparation for hydraulic testing and repainting. However, the working conditions here forced another move, this time to Thornaby depot, on 17th February 1969. 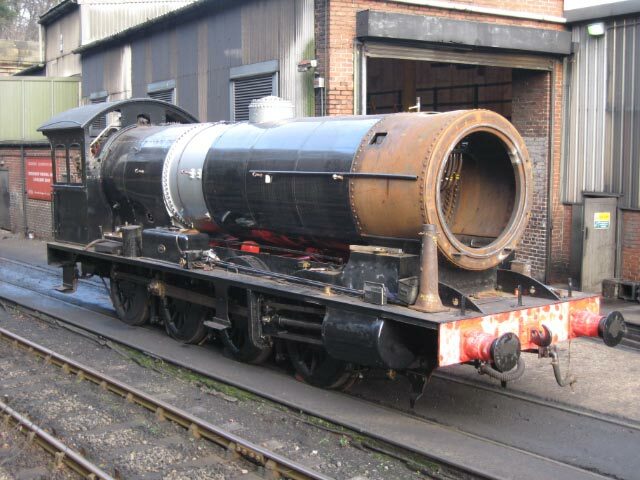 Here the boiler was re-tubed, hydraulically tested and, on 18th October 1969, successfully steamed. 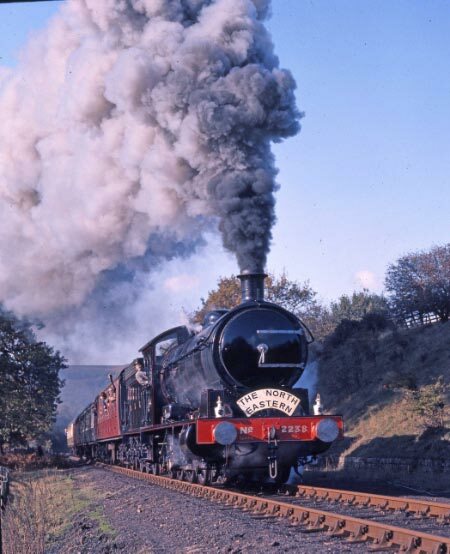 Vacuum brake and steam heating were fitted for the first time, and on 25thJune 1970 the locomotive travelled in steam from Thornaby to Grosmont on the North Yorkshire Moors Railway. The locomotive was used until November 1971 when it was withdrawn for replacement of its large flue tubes, mechanical overhaul and repainting in NER livery as T2 2238. This work was completed in time for the locomotive to appear at the Shildon celebrations in August 1975. 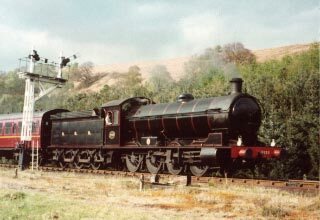 The locomotive then returned to the NYMR where it worked regularly until 1982 when it was withdrawn for major overhaul. 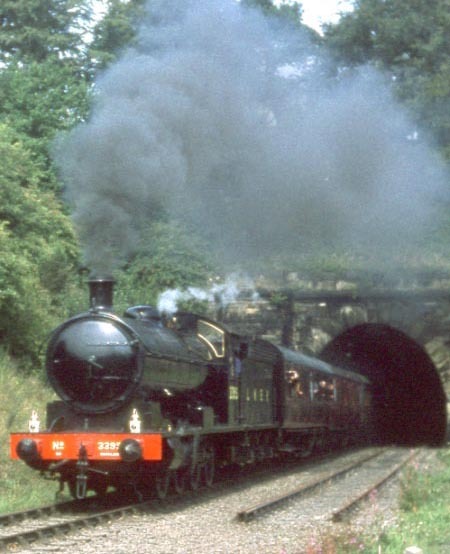 It had covered a total of 11,368 miles on the NYMR. d) The Last 25 years. Following its withdrawal from traffic in 1982 the loco was put into store inside the groups Deviation shed and here it stayed for over 18 years. The locomotive took a back seat due to the fact that in 1986 the group became custodians of A2 60532 Blue Peter and A4 60019 Bittern, the A2 was restored to mainline running condition and the A4 was restored as A4 pioneer 2509 Silver link before it went on display at York in 1988 alongside A4 Mallard as part of the 50th Anniversary of Mallards record 126mph record run. Even though the locomotive had taken a back seat it was not forgotten and during NELPG’s stay in No.5 Depot at I.C.I. 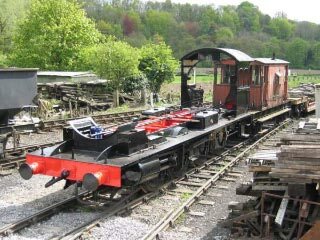 Wilton, a Manpower Services Scheme overhauled the tender. 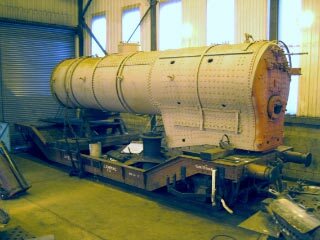 Work on the locomotive eventually started in the autumn of 2000 when contractors Ian Storey Engineering removed the small tubes and large flues in readiness for a thorough internal examination of the boiler and firebox. 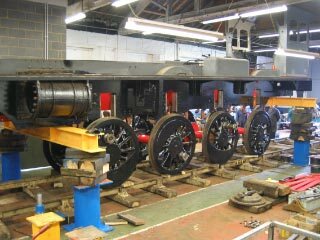 However, it was to be almost a year before further progress was made when on 20th September 2001 at Grosmont; the boiler was lifted off the frames. 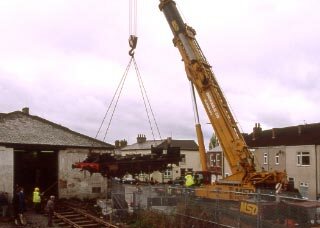 The frames then left Grosmont and were towed the 17 miles to the NYMR’s permanent way yard at New Bridge, Pickering on 7thJanuary 2002, where they could be loaded onto road transport for the journey to Darlington for overhaul at the groups newly fitted out workshop in the historic Stockton and Darlington Railway’s Hopetown Carriage works, the western part of the building occupied by the A1 Locomotive Trust. 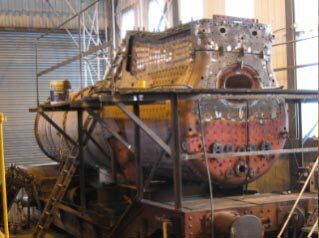 Meanwhile the NELPG had successfully sought Heritage Lottery funding to part finance the boiler overhaul, which was estimated to cost £100,000. 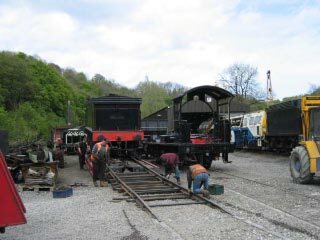 In doing so it also reached a decision to contract out the boiler overhaul to the NYMR, so with the boiler overhaul under way at Grosmont and mechanical overhaul underway at Darlington progress at last was been made. 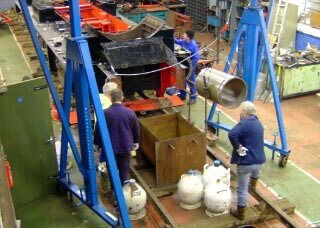 Following completion of the mechanical overhaul in April 2005 the frames returned from Darlington and was again put into store in the groups Deviation shed while the NYMR completed the boiler overhaul. 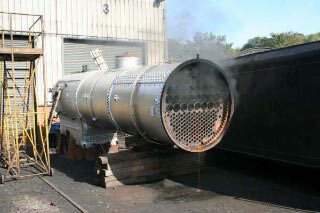 The big day eventually came in October 2006 when the boiler passed it official hydraulic test and then again a few weeks later when it passed the official off the frames steam test in the presence of an Insurance company official. 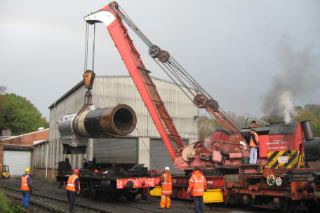 The boiler was lifted back onto the frame on the 1st November 2006 so then allowing the final reassembly to begin. Reassembly is a mammoth task itself, putting all the bits back on sounds simple enough, but past experience has shown that it is never straightforward and always takes longer than anticipated! The majority of the pipe work on the locomotive will be renewed, the fire grate will need rebuilding with new grate support brackets and then the boiler lagging and cladding will all need fitting. Last but not least, the locomotive will be painted in B.R. 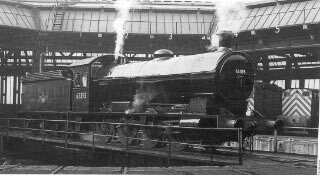 unlined black livery as 63395, as it would have appeared out of Darlington Works in September 1965; the only outward differences will be the vacuum exhaust pipe down the length of the boiler, and vacuum and steam heat pipes slung under the buffer beams. A ballot of NELPG members decided the livery; the majority of those who voted chose the later B.R. livery. 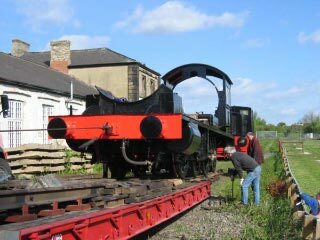 On completion of the overhaul the locomotive will be based on the NYMR, the NELPG’s home base. 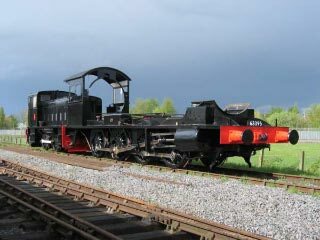 Here it will be at home on the steep gradients – one of 63395’s old stamping grounds was the 1 in 46 of Seaton bank from Ryhope up towards South Hetton colliery, in County Durham – and should be capable of working the Railway’s heaviest trains. The NYMR also has a splendid demonstration freight train and no doubt there will be ample opportunity to see the Q6 doing the sort of tasks that it was designed for! The locomotive weighs over 110 tons when in working order and is over 60 feet in length. The wheel arrangement is 0-8-0 and the 4' 7¼" driving wheels are driven by two cylinders (20" dia. 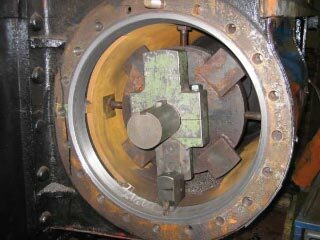 by 26" stroke) controlled by Stephenson link valve gear. The working boiler pressure is 180 psi. and the locomotive produces a tractive effort is 28,800lb.